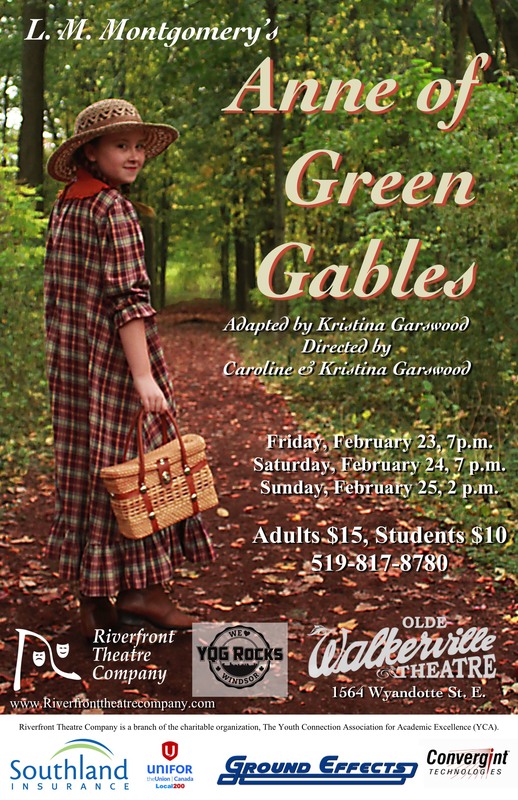 This is tech week for Riverfront’s production of Anne of Green Gables! We moved into the theatre on Sunday morning, and started rehearsals there with the kids on Monday afternoon. We’ve been there every night, and tonight is dress rehearsal! Tomorrow morning, we perform to our sold-out school show at 10 a.m., and then continue on with our public shows, Friday and Saturday evening at 7, and Sunday afternoon at 2. Calls have been flooding in every day about tickets, which are available online at Eventbrite, or at the box office every day an hour before each performance. Anne of Green Gables is iconic, a classic for every Canadian, and we are delighted to be bringing our fresh adaptation to the stage here in Windsor. At our last rehearsal in our weekly rehearsal space, we interviewed our kids at large about their experiences with Anne. Please enjoy one of our small videos for your amusement. The kids are loving the experience of working on Anne. See what our cast’s favourite lines are! 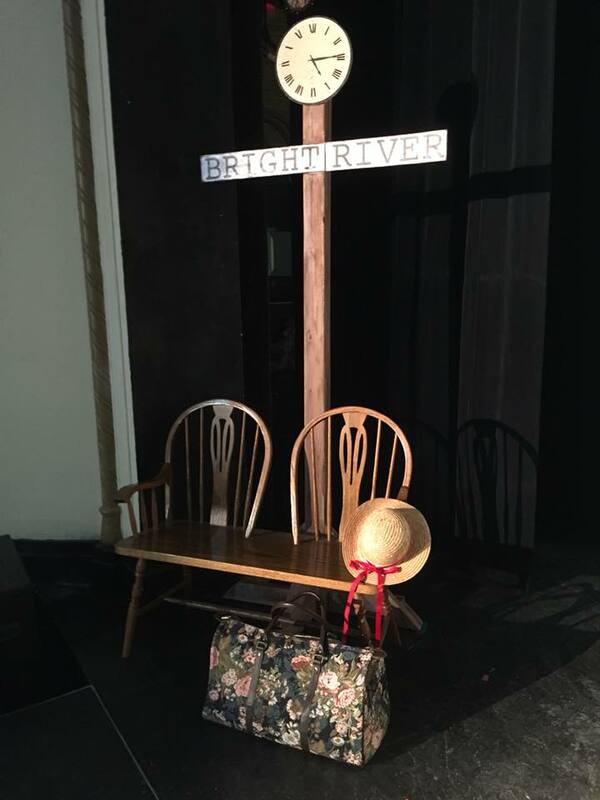 Nearly half our cast, 15 out of the 39 cast members, had no previous experience with Anne of Green Gables in any form – they’d never read it, seen the movie, or any other production – before we announced the show last season. That was surprising to us, but very satisfying, as well, because we know we’re in the business of introducing literature and educating our kids, too! We had much the same experience with doing Pride and Prejudice in 2014, and as we’ve been introducing and expanding their understanding of Shakespeare every year as well with our productions and our annual field trips to Stratford. This year, it’s Anne. And of course, with over 400 students attending our school performances every time, and all our public shows, our reach extends far beyond our own company. That’s something very important to Riverfront. We want to be family-friendly, but beyond that, we really do want to present shows with value to our audiences. Even our musicals, which are inherently lighter fare, we select with care for what our students and audiences can take away in a message. Right now, we have Anne of Green Gables. In a way, both of our big plays this year are about finding the right balance between imagination and reality. Anne needs to be more grounded, and finds that balance as she matures. In Seussical, Jojo and Horton need to convince everyone around them that imagination and faith are essential components in life. At Riverfront, we’re just more grateful than we can say for imagination and faith. Our students are showing us their capacity for imagination and creativity as they bring their characters to life on stage. And it extends to all of us. We have costumers, and set designers with that desire to work together to make something beautiful. And every one of us involved in RTC steps out in faith that in working as a team, we bring our various skills and frailties together to bring the audiences something we’re very proud of. We think we’ve done it again with Anne of Green Gables, and we hope that you will think so, too! Anne is on her way to Green Gables. Are you? Previous: Previous post: Meet our Anne Shirleys! Next: Next post: Anne's Over – On to Seussical!